[S]adness is not a neurosis stemming from my ‘personal’ life. Instead I’d like to insist, as others have before, on recognizing it as a political condition, a by-product of our lives under capitalism. The personal is political, as it has always been. Our time, bodies and minds are inscribed with capitalist competitiveness (we hustle to live, if some more than others), rhythms (cybertime, or hyper-speed) and productivity (more & more & more). We know that the American, and increasingly global, way of life is a farce, a tale told to keep us moving. These are the rhythms of our everyday, the geography of our psyches and the landscape that produces our political depression in the form of sadness, fear, boredom, ambivalence, loneliness, depression, impotence and anxiety. Every day there have been horrible and tragic events unfolding around the globe, but this semester seemed especially to foster despair: Even before the term began, the University of Illinois Chancellor, Phyllis Wise, reneged on the hiring of Professor Steven Salaita. (See my three previous posts.) On August 9, 18-year-old Mike Brown was murdered in Ferguson, Missouri; there were 43 students murdered in September in the Mexican state of Guerrero. On November 24 a grand jury refused to indict (former) Ferguson, Missouri, police officer Darren Wilson in the shooting death of Mike Brown; on December 3, a Staten Island, NY, grand jury refused to indict any of the police officers involved in the July 2014 death of Eric Garner. So much injustice, so many people and places I have not even mentioned. But once a week I gathered with nine graduate students at the University of Illinois in a Distributed Open Collaborative Course (DOCC), “Collaborations in Feminism and Technology,” and for three hours we discussed feminist technoculture and benefited from FemTechNet resources. This was a respite for me, building some solidarity in a place of alienation. We edited Wikipedia, after learning from the late Adrianne Wadewitz about the ins and outs of that huge endeavor. One student wrote and illustrated entries for women who are often categorized as “outsider” artists: Mollie Jenson, Annie Hooper, and Kea Tawana. He took advantage of materials at Intuit Center. Another student created a LibGuide for teen librarians to learn about resources available related to teens with disabilities. 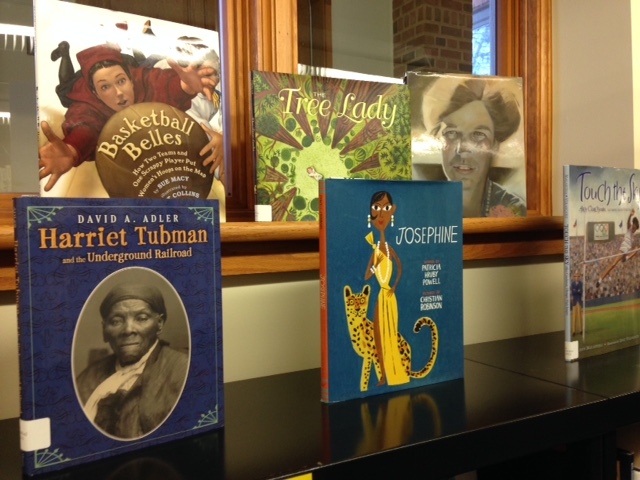 She also compiled a bibliography on books related to suffragettes, artists and pilots (Oh My! 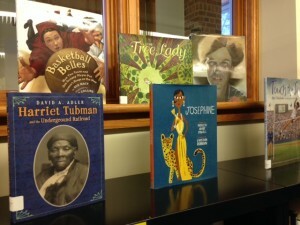 ), together with a display in the Center for Children’s Books. 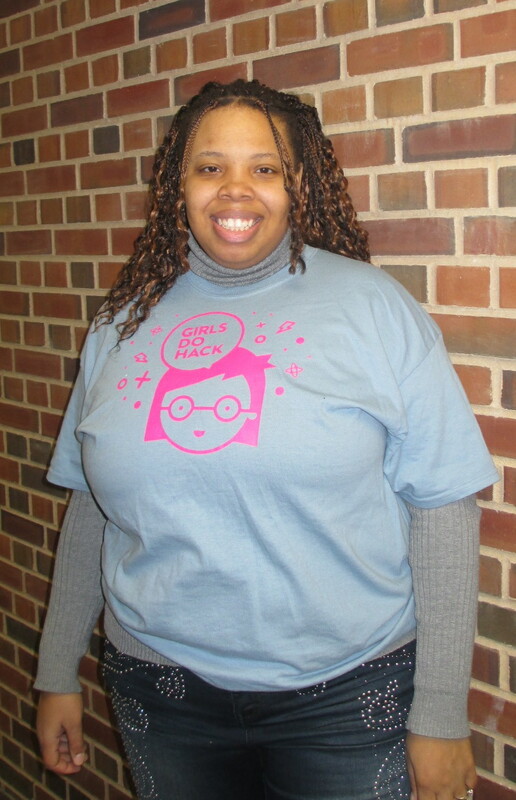 Did you know about the Amelia Bloomer Project? I didn’t, but now I do, thanks to this DOCC seminar! A doctoral student attended the Digital Labor conference at The New School in New York City and reported back about the “long table” discussion about FemTechNet that took place there. International online education and women’s varied engagements with it were the topics of another student project. We also learned about a local artist’s involvement with experimental music in New York and Illinois through an oral interview conducted by one student. 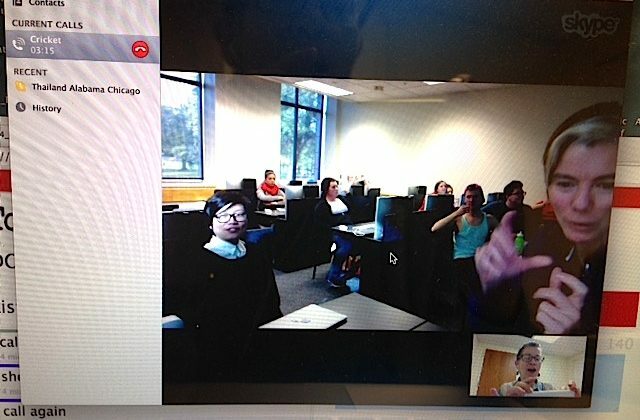 Cricket Keating, a professor of Gender and Women’s Studies at Ohio State, met online with our class and discussed her articles on coalition building as well as her activity with La Escuela Popular Norteña. I met with Cricket’s class via Skype to discuss Place. At the suggestion of Melissa Meade and Cricket Keating, we used Today’s Meet a couple of times, learning a rhythm of interacting with others at a distance when sync-watching a Video Dialogue on Race. One student joined FemTechNet’s Student Committee; another joined the Communication Committee–thank you! In between all these activities, we had wide-ranging conversations in which I learned and learned and learned: about locker baby syndrome, “speaking pain,” Tumblr, challenges of gender-neutral language in Spanish, Patchwork Girl, Wu Tsang, the meanings of “motorcycle” in Taiwan, Anne Elizabeth Moore, multiple apps and on and on!